Local Plunder | It’s Spring. Might as Well Look the Part. It’s Spring. Might as Well Look the Part. 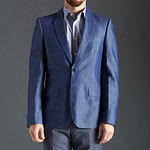 What: Just a lightweight, linen-cotton-blend jacket that doesn’t make you look like a Peep. Why: At brunch, you’re looking for a touch of spring as opposed to a one-person Easter parade. Cubs or Sox. These Shoes Are Agnostic. 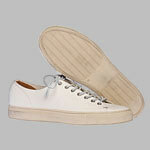 What: Italian-made calfskin sneakers in a sensibly neutral white. Why: You want something casual enough for a ball game, but dressy enough for a yacht race off the Amalfi Coast. Also, you don’t want to bring an extra pair of sneakers to the Amalfi Coast. 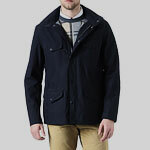 What: A rain-resistant, multilayered coat inspired by the clothes of the Scottish gentry. Why: It simply makes good sense. You never know when you’re going to need to keep the rain off you, or when you’ll be hunting with the royals, or when you’ll need to look your most smashing. 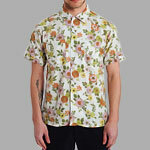 What: A short-sleeve shirt that looks like spring has sprung. Why: The air is nice. The sun is out. There are flowers on your shirt. You’re free. Your arms are free. Everything’s free. 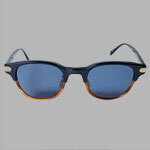 What: Japanese sunglasses strengthened by titanium and better-than-average looks. Why: You’re on a patio, soaking in sunshine, high on your alfresco cocktailing. Don’t let squinting ruin everything. Squinting is always trying to ruin everything.